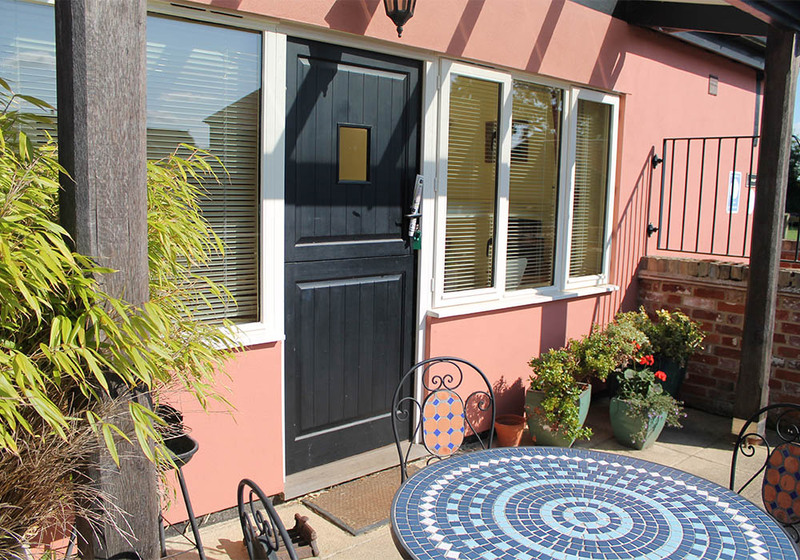 Step through your private courtyard into our bright and breezy Wheelwright’s Cottage, complete with French terracotta-style tiling and light, traditional shaker-style furniture. 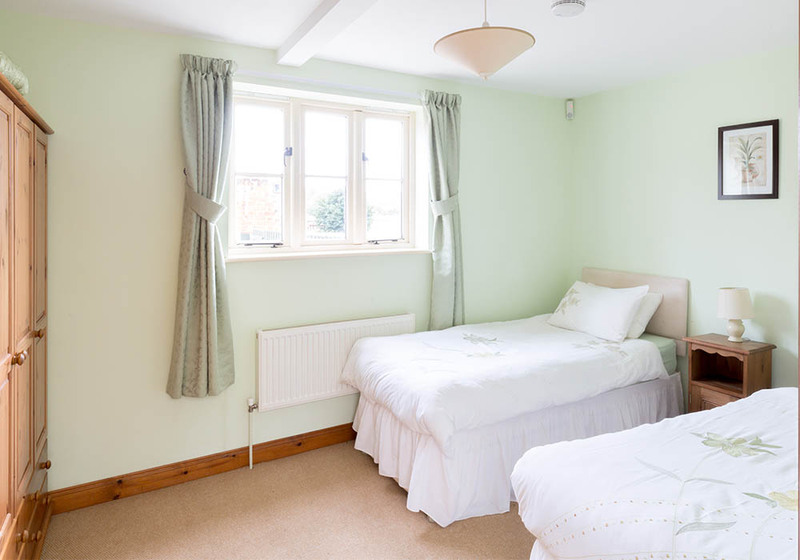 This ground floor cottage sleeps up to four people in two separate bedrooms and can also be booked alongside Churn House for larger parties, thanks to its interconnecting door. 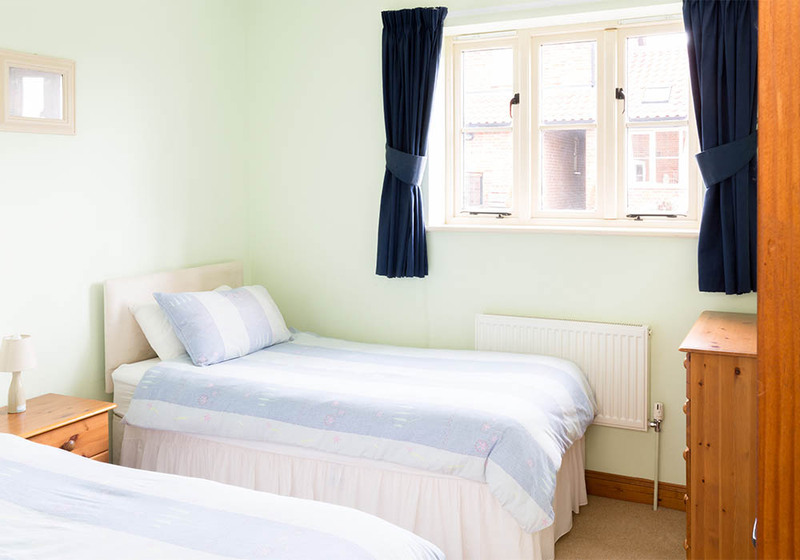 Its location and layout make it perfect for pets, whilst visitors with physical difficulties can be reassured by its higher level seating and generously proportioned rooms, alongside its accredited Level M1 Accessibility rating. We came as a big group of us, and it suited us down to the ground! 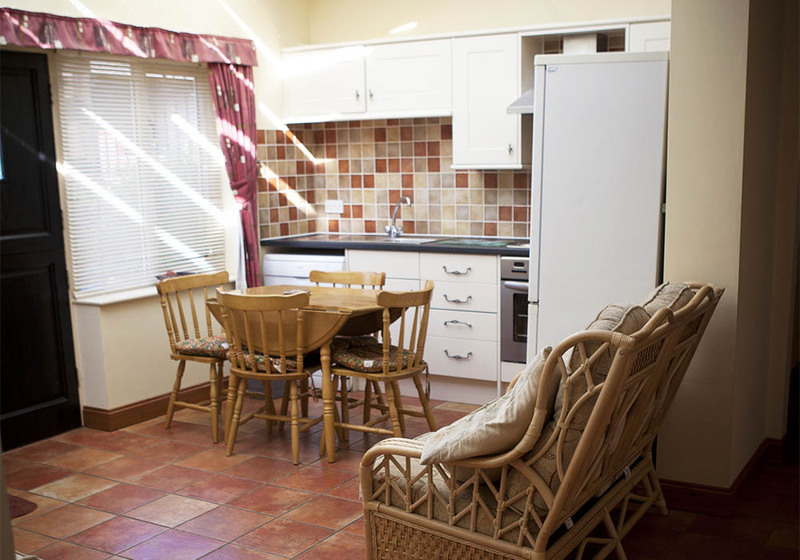 Gorgeous place to stay, with the peace and quiet of the countryside but still lots to do! Sue and Wayne are amazing people who do anything they can to help you, and everybody who you see around is incredibly friendly. If you are like me and are into horses, you will love it here, because there are beautiful country walks where you are always bumping into animals of some sort!!! Our family stayed in all the cottages as we had a wedding near by. Its a lovely setting and the children loved the chickens ,my husband spent at least 8 hours in one day fishing and caught some quite big fish.The kids loved the games room and we had a big family barbecue. We hope to go back next year.Sue and her husband are really nice.